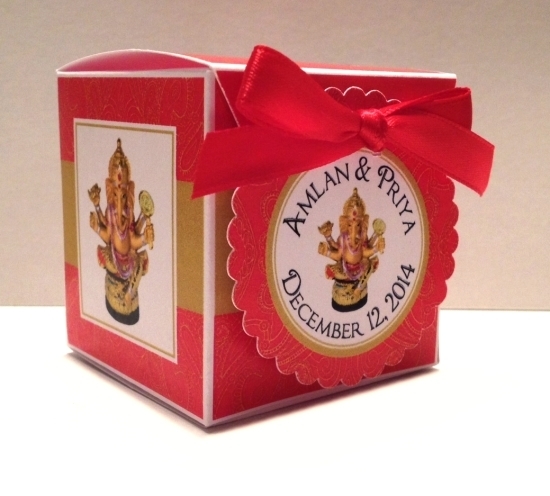 Each of these fabulous Indian themed favor box measures approximately 2 1/4" x 2 1/4". It can hold a generous amount of small candies (15 Hershey Kisses), Lindt truffles, flower seeds, fortune cookie cookies, tea-light candles, etc. We ask 10 business days to fulfill your custom order; then add ship time. Shipping is a flat rate of $8.95.